SaskMusic is seeking proposals for the design of the award (trophy) for the Saskatchewan Music Awards (SMAs), to be presented in 2019 and beyond. The chosen designer would be commissioned to produce 15-20 physical awards by September 2019, in preparation for the 2019 SMAs, with potential for negotiation of future years’ awards. The date for the 2019 SMAs has not been set yet. The Awards honour excellence, and celebrate the achievements of Saskatchewan music industry members over the previous year, in both artistic and industry categories. Proposals should include the cost, per award, to produce 15-20 awards using the proposed design. The maximum total budget per award, including all materials, production fees, and taxes if applicable, should be <$250. This opportunity is open to any Canadian artists/craftspeople, however, preference will be given to artists whose primary residence is in Saskatchewan. The award must be a 3-dimensional object to be presented on stage, with presence and visual impact ie: can be readily recognized as having the look and feel of a quality award; this may take the form of a plaque, statuette, or other 3D representation. We recommend a minimum height of 8”. The award design should incorporate some reference to music. 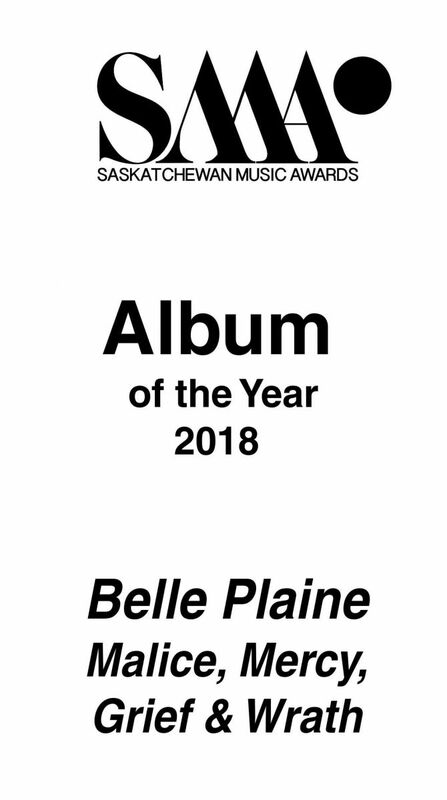 The design must provide space for individual credentials (winner’s name, year, category and Saskatchewan Music Awards) to be applied/attached/embedded in a method specified by the designer, but which can be added to the piece in a short time frame (ie engraved). The pieces should be completed by September 15 (tentatively) with credentials to be added later, once winners are determined at time of awards event. (See Figure 1). All submissions must include drawings/sketches with description(s) noting actual size, materials to be used and a discussion as to how the artist plans to integrate credentials. The successful applicant must be able to demonstrate they have the capacity to produce the quantity required within the time frame indicated, and within the budget indicated. Submissions should be delivered in the form of a PDF. SaskMusic reserves the right to reject all designs if none is deemed suitable. SaskMusic will enter into an agreement with the chosen designer and negotiate deposit/ fees.